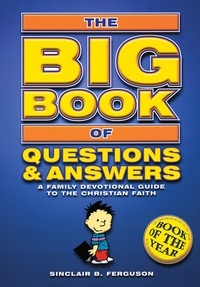 The Big Book of Questions & Answers can help parents and teachers talk naturally to children about the Bible. Here they can discover the key doctrines of Christianity. Activities with each question help reinforce learning and include time for talking, action, and prayer. This gift can help children grow strong in their faith in an uncertain world of spiritual and moral confusion.